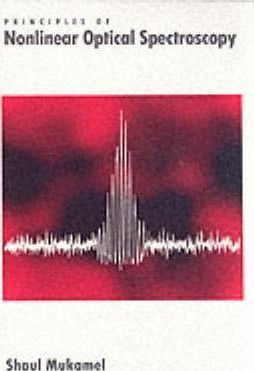 This textbook presents a systematic and unifying viewpoint for a wide class of nonlinear spectroscopic techniques in time domain and frequency domain. It is directed towards active researchers in physics, optics, chemistry, and materials science, as well as graduate students who enter this complex and rapidly developing field. Nonlinear optical interactions of laser fields with matter provide powerful spectroscopic tools for the understanding of microscopic interactions and dynamic processes. One of the major obstacles facing researchers in this field, however, is the flood of experimental techniques and terminologies, which create a serious language barrier. The general microscopic correlation function approach to the nonlinear optical response developed in this book is essential for understanding the relationships among different techniques and a comparison of their information content, the design of new measurements, and for a systematic comparison of the optical response of different systems such as dyes in solutions, atoms and molecules in the gas phase, liquids, molecular aggregates and superlatives, and semiconductor nanostructures.